Falcon Heavy Launches to Infinity and Beyond! 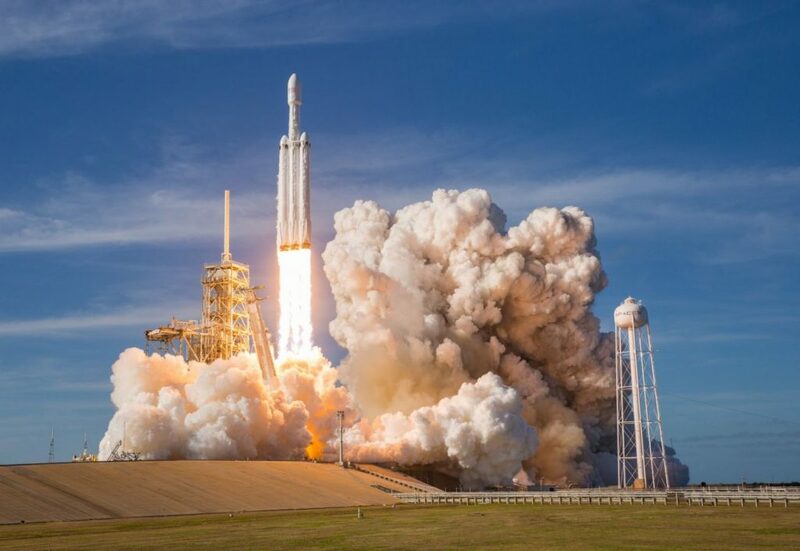 Home » SpaceX » Falcon Heavy Launches to Infinity and Beyond! Do you, also, want to watch the Falcon Heavy launch over and over again? Say no more fam! One reason this is so interesting to me is historically NASA has always led the way for space exploration and continues to develop new technologies that solve some of the hardest problems out there. It’s not to say NASA has completely lost that but this huge. The implications of this show that private space companies like SpaceX or Blue Origin can not only help NASA and others get to lower Earth orbit faster and cheaper but get to Mars before they do. Of course, there is so much that needs to happen before we get to Mars. Some of these things are figuring out how humans will survive a long space flight and the psychological challenges that come along with it. Another factor is surviving massive amounts of radiation hitting the spacecraft and Mars. Being able to get back is a whole other challenge that constitutes a successful mission like the mission to the moon. The list goes on and on. Casey also points out that SpaceX’s smaller rocket called the Falcon 9 is certified by NASA for lower priority missions. But to really get the full potential of Falcon Heavy it could launch some of NASA’s flagship missions. However, to do that SpaceX will need to get it certified which will take time as Casey also points out. So where does this leave us? Well, things are changing and we have been launching many space missions that are small and efficient and even using solar energy as their main source of power (i.e Juno mission). If the Falcon Heavy cost is much lower than NASA’s typical cost on a comparative rocket and there is a push to fly many missions. In theory, the cost for a small-outer planet mission could be the same as the retired space shuttle missions. That means Falcon Heavy could be taking on these interesting missions where we could go explore more of our solar system and do it faster and cheaper than a typical cost. The jury is still out and we have ways to go but it’s a promising start for a big jump in space exploration. For now, I’ll leave you with a video taken on the Falcon Heavy from the viewpoint of “starman” on the Tesla Roadster. I highly encourage you to at least skim through the parts where you can see Earth in the background. It is incredibly beautiful.